When the weekend swings around after a long week, it can be rather tempting to slump into the sofa all weekend with little plans of moving. And while that may be ok to do, it is not something that is sustainable to do every weekend. Luckily, there are many ways to recharge over the weekend to set yourself up for a happier and more joyful week. You know that saying, you have to fill up your cup first? Well, it's true. If you want to serve your clients to the maximum potential, if you're going to manage your staff to help them achieve their true potential, if you plan to have the best week of growth and development then you need to ensure that you are recharging, mentally, physically and spiritually. First and foremost, let’s talk about that phone, laptop and iPad of yours. If you are honest with yourself, how much do you really need it? You know if you have been reading our posts for a while we are big fans of tech. For example this ‘9 Productivity Apps’, ‘7 Awesome Apps For Your Business’ or ‘The Top 5 Apps We Are Loving Right Now’. But we also know and value the importance of a digital break. Even if it for half a day or one evening. Even Gary Vee has been known to put down his phone for the entire weekend when he wants to be present with his family. You can too. Take away the tech. Fill your room with lavender. Freshen the sheets. Spray them with linen spray (we use a DIY Zoflora Linen, essential oils and Fabric conditioner and water blend). Which leads us to talk about fun and light-hearted DIY projects. Linen spray. Pillow spray. A piece of artwork. It doesn’t need to be big and intense, in fact, it should not be. The whole point of it is to be creative outside of your day to day routine. Ideally, you want to choose a DIY that is not too difficult, think along the lines of DIY body scrub or a bookmark. Use that bookmark and up your reading game. Again, although we love access to our digital books, there is still a lot to be said about a real book. Sure they are not instant downloads, and they take up physical space, but when you are holding a book in one hand a hot drink in the other, there is something quite understated and magical about that. At the start of the weekend ask yourself what do you need. What does your soul/mind/body need to feel replenished, refocused and recharged? Be honest and truthful with yourself. Whether it is sorting out and decluttering your kitchen, or maybe you need to do some inner work. Allow yourself to be wholly engrossed in the task at hand. Free yourself. It is easy at the weekend to fall into a slump of ‘I do not need to do anything, so nothing is urgent’. This thought process is true, but remember to be mindful of your mornings, so they do not simply slip away. This may not seem a big deal at first but by just spending the morning scrolling through the ‘gram can be wasteful of your time and before you know it you only have half days to work with. Cleanse your crystals, charge them, smudge your home, light candles. Recharging spiritually can have more significant effects than what you may first think. Make a hot tea and sit with your thoughts for a few minutes, note down any feelings or thoughts that arise. Opt for nourishing food and make it a thing. Spend a little time learning about nutrition. We love Pick Up Limes, a nutritionist on Youtube that explains what to eat and how to make it as easy and tasty as possible. This action point not only has short-term effects (hello learning new information) but has lasting results if you implement the things you learn into your lifestyle. If you get inspired, why not spend some time creating a meal. And not a rushed, throw-it-together type meal. One that you put love into. Open a bottle of wine, pour yourself a glass, throw on some music and enjoy the process. If you have had a busy week with a lack of sleep, adjusting your sleeping patterns can be an invaluable way to recharge. 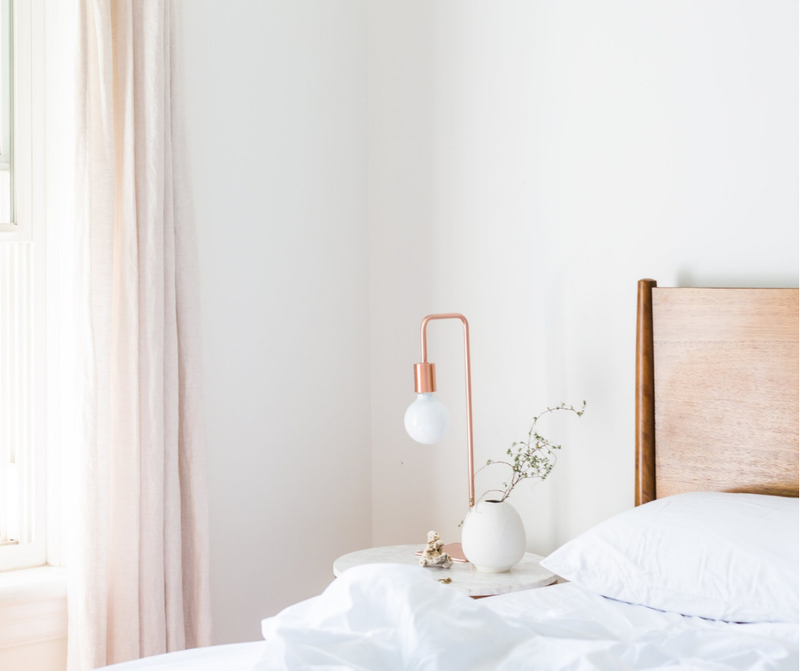 Instead of ‘catching up on sleep’ and having a massive lay in (which will actually throw your week ahead out of sync) add a couple of hours on to the amount of sleep you have been having. This method will help you feel more refreshed instead of oversleeping and feeling even more groggy! There are a whole load more points to make, so we wanted to make this into a two-parter! After all, we did not want to overload you with information and overwhelm you. That is the exact opposite of the purpose of this post. So for now, take it slow. The main question we want to leave you with is this: ‘What do you need?’. Ask yourself that question and be honest. So often we jump straight into our day or the weekend without regard to what we need. Sure, having three days of dinner plans can be fun, but is it what you need?